Emirates Global Aluminium (EGA), one of the world’s leading aluminium producers, has announced the launch of the syndication for its $4.9 billion, seven-year corporate facilities comprising a conventional facility and a commodity murabaha facility. Seven banks have been appointed to act as book-runners on the facilities including BNP Paribas, Citi, Dubai Islamic Bank, Emirates NBD, ING, National Bank of Abu Dhabi and Natixis. 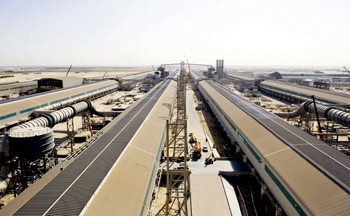 The proceeds from the facilities, which are structured with a three-year grace and a 30 per cent balloon payment on maturity, will be utilised to refinance existing project finance debt facilities which were secured in 2007 and 2012 by one of EGA’s operating assets, Emirates Aluminium (Emal). The syndication strategy will target EGA’s relationship banks including UAE, regional, Japanese, European and North American banks. Other regional and international lenders are also expected to participate in the facilities. Ahead of the launch of the syndication, EGA has secured the participation of the Export Development Canada (EDC), one of EGA’s key relationship banks. EGA expects to conclude the syndication process by year’s end.